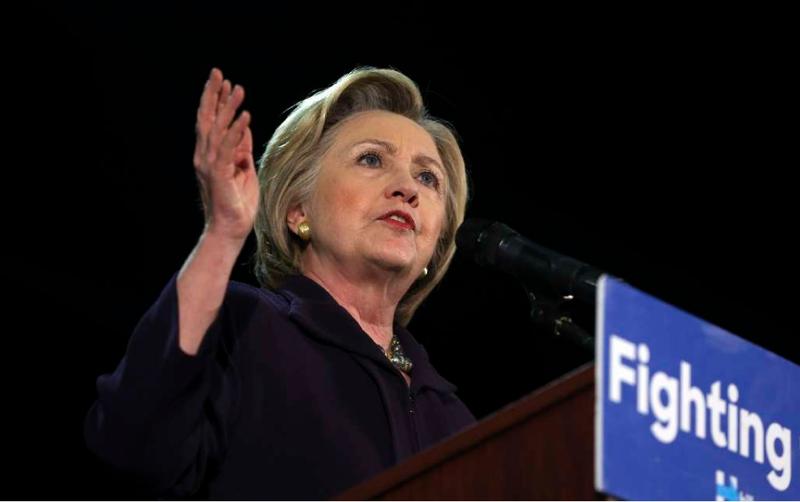 By Lauren Carroll on Thursday, May 12th, 2016 at 6:01 p.m.
Over the past couple of days, some Hillary Clinton critics have complained over the way her campaign has described the FBI’s probe into her private email server. Clinton and her campaign have called the probe a "security inquiry" regarding information stored on the server, as opposed to a criminal probe. "I say what I have said now for many, many months: It's a security inquiry," she said on CBS May 8. But on May 11, reporters met with FBI Director James Comey, and he said he is not familiar with the term "security inquiry." Instead, he said, "we're conducting an investigation. That's what we do." So is it an "inquiry" or is it an "investigation"? While Clinton might shy away from the word "investigation," it is truly a distinction without a difference. Inquiry is just another word for investigation. Clinton’s critics jumped on Comey’s words as proof that the FBI is on track to prosecute Clinton for mishandling classified information. Her campaign continues to deny that the case will ever reach that point. While serving as secretary of state, Clinton sent and received emails hosted on a private server located in her New York home, outside the State Department’s cyber security fence. Clinton says she did this out of convenience but that, in retrospect, it was a mistake. Here’s what we know about the investigation so far. Inspectors General from the State Department and the intelligence community referred the case to the Executive Branch in July 2015. The referral memo made clear that the Inspectors General were not suggesting that anyone involved in Clinton’s email setup committed a crime. Rather, they were following their statutory obligation to inform the intelligence community about any potential security breach — namely, that Clinton possibly held classified information on her email server located outside secure government facilities. Clinton says she never knowingly sent or received classified information, a possibly criminal action. In August, the FBI entered the case. The FBI is determining if criminal activity occurred in connection with the email setup. We talked to experts in federal criminal investigations, and they told us that the FBI doesn’t look into issues just for the heck of it. They assess cases to find out whether criminal activity occurred. "We don’t do these because we’re curious," said Ellen Glasser, a retired FBI special agent who worked on cases regarding mishandled classified information. "There’s a potential that a criminal violation took place." Glasser, immediate past president of the Society of Former Special Agents of the FBI, emphasized that she has no inside knowledge about the Clinton case beyond what has been publicly reported. Clinton’s phrasing — calling it a "security inquiry" — is not necessarily wrong, said Mark Pollitt, former chief of the FBI’s computer forensics program. But it obscures the fact that an investigation can be both security-related and criminal. A reasonable person might take Clinton’s phrasing to mean the FBI is simply conducting a risk assessment of her server to see whether it’s secure. Agents might do that as part of an investigation, but it’s not the end game, Pollitt said. Some news organizations have reported that the FBI is also looking into whether the server was hacked. Clinton is undoubtedly a subject of the investigation, but whether she meets the definition of an official FBI "target" is unknown. That term is reserved for people for whom there is substantial evidence linking them to a crime, according to the prosecutor’s judgment. Clinton said in March that investigators have not told her that she or any of her staff members are targets of the investigation. If people ask about their status in an investigation, it’s common practice for the Justice Department to tell them whether they’re targets or not, said Lauren Ouziel, a former federal prosecutor and a professor at Temple University Beasley School of Law. "If she has been informed by the DOJ that she is presently not a target, then her statement that she is not a target would be accurate," Ouziel said, noting that she has no non-public knowledge of the case. But of course, Clinton’s actions are clearly front-and-center in the FBI investigation. Based on her knowledge of how classified information mishandling cases proceed, and her understanding of public reports about Clinton’s role in the email setup, Glasser said the FBI is very likely looking at Clinton specifically. "My experience tells me that Hillary Clinton is a subject of a criminal investigation," Glasser said. The FBI doesn’t open an investigation definitely knowing it will seek charges against someone. If an investigation does not reveal evidence of a crime, or if there is insufficient evidence of criminal conduct, then the investigation will close without any charges filed. "You don’t know if it’s criminal until you get to the end of it," Pollitt said. As part of its investigation, the FBI has looked into the security setup for Clinton’s home server and a thumb drive that has copies of Clinton’s work emails. They have also interviewed several aides, with the Justice Department even granting immunity to the staffer who set up Clinton’s home server. Agents have not, though, asked Clinton for an interview yet, she said May 8. The investigation has been going on for nine months now. To Pollitt, that means it’s probably a tough case to pin down. "If this thing was dead on arrival, nobody would be willing to keep this thing going," he said.